It has been my pleasure over the last eight months to work with several entrepreneurs in many different types of industries. When I first start my consulting business, I knew that social media would be part of my list of services. My specialty is grassroots marketing which is, an inexpensive way of promoting small businesses, through partnerships and customer relations management, to promote word of mouth referrals. 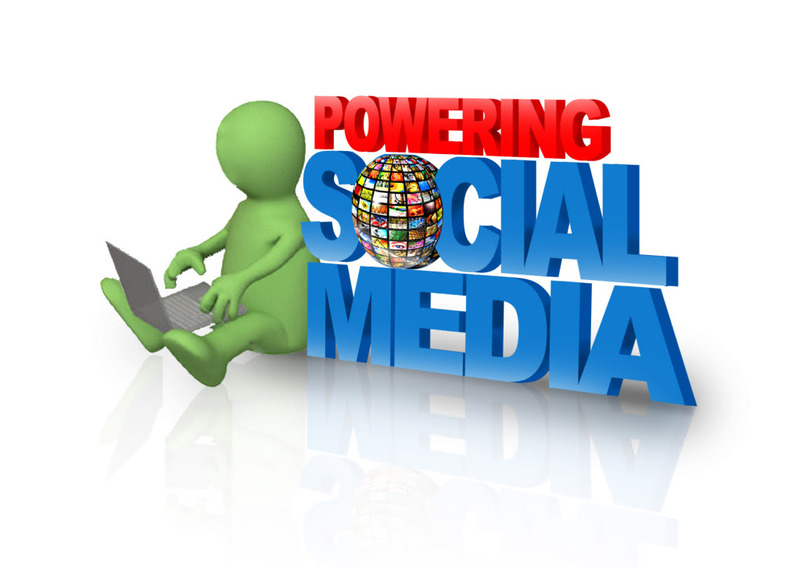 Social media, in my opinion, is an online extension of grassroots marketing. The biggest obstacle that I have encountered is how to appropriately help entrepreneurs understand social media and execute it in a manner that will monetize their business. Here is what I have learned and what I have found makes the most sense for small companies. Most entrepreneurs have enough on their plates that they would prefer someone manage these efforts for them. The challenge that comes along with someone else managing your social media efforts for you, is that no one understands your business better than you do. If you allow someone to train you how to use these channels, you will be able to speak on behalf of your own business and you will have someone on board to answer questions if you need help along the way. What are the basic channels for social media? MOST important is the blog… It is the anchor to all of your efforts! A blog not only educates your potential clients about your product or service, it also builds your search engine optimization through providing current and relevant information. You will find that your business will slowly but surely climb to the top of the Google organic searches if you are consistently posting articles. These articles do not need to be lengthy; they only need to be constant. A good rule of thumb is to compose two blog posts per week. If you are stretched for time, one post per week is better than none at all. LinkedIn, Twitter and Facebook are means of pushing out your blog and building relationships with prospective clients and other complimentary businesses. Be quick to respond to comments. Make sure you are reposting or “retweeting” other relevant content. Most importantly, start conversations! If at all possible, it is always a good idea to try to take your new found relationships off-line and meet in person. Do NOT get frustrated and do NOT give up! Your hard work will absolutely pay off, but understand from the beginning that it is not going to happen overnight. Incorporating social media into your schedule is a lifestyle change. Upon mastering the necessary tools, it will become easier and more efficient. Once you start the fly wheel spinning you are generating momentum that will be lost if you choose to let up. As with any new challenge there is a learning curve and once you get past you will be far ahead of your competitors! A dear friend of mine recently reminded me of TOMS Shoes. While I had heard of their concept before, the story took me back again, so I dived into some more research on TOMS Shoes. There was no doubt in my mind that this amazing movement should be highlighted as my small business of the week and here is why…. Social Entrepreneurship – TOMS Shoes was founded in 2006 on the premise that for every pair of shoes purchased, one pair of shoes would be given to a child in need. One for one. Since its inception TOMS Shoes has given away over 150,000 pairs of shoes to children in the United States, Argentina, Ethiopia and South Africa. This year they hope to give away an additional 300,000 shoes. How did all of this get started? – On a vacation to Argentina in January 2006, founder Blake Mycoskie, of Arlington, Texas had brilliant idea for a business model. He wanted to help children who were suffering from Podoconiosis, a fungus that gets into the pores on the bottom of the feet and eventually destroys the lymphatic system. This disease is 100% preventable, simply by wearing shoes. At that point Blake decided to get involve in shoe giving. Rather than starting a charity, Blake knew his impact would be more sustainable if he started a business. So TOMS Shoes was born. The Shoes – The shoes are a lightweight design based on the Argentine alpargata design. Similar to an espadrille, they are made of canvas or lightweight cotton with plastic or rubber soles. TOMS Shoes has adapted the design to supply many beautiful colors, patterns and styles. 4. Host a Style Your Sole party – gather friends and relatives to a party to decorate their own pair of TOMS Shoes. Click here for their complete party planning guide. Couponing can be a great way to drive sales. Some businesses stick with the traditional methods of distributing coupons, which is fine but why not look for ways to get creative and grasp consumers’ attention. When it comes to coupons there are two types of consumers: 1. Those who are avid coupon clippers and 2. Those that must have a striking deal to consider taking the time to use the discount. In these economic times I think more and more people are looking for a deal. Let’s figure out some ways to entice them to shop with us. Methods of Distribution: Traditional means of print advertising is a waste of money in my opinion. The newspaper industry is dying yet I still see a plethora of coupons and advertisements being placed in print. Unfortunately I am still receiving the ValPak in my mailbox which still hits the trash can before it ever gets opened. Please quit spending thousands of dollars in these types of mediums, they are no longer working except for the small demographic of avid coupon clippers. One method that seems to be working well is online coupons. Companies are putting these discounts on their websites and allowing their customers to print them from home. Take this method one step further and send out an eblast to your loyal users and attach the coupon to the email. This database should be full of known customers who already use your products or services. This is an excellent way to reward them for their loyalty to your business. Direct mail comes in many forms and it targets the customers that you know will utilize your business. You may purchase lists in zip codes surrounding your business. Another means of direct mail that you may not have thought of is utilizing other large businesses in your area. For example, if you ask the right people you may be able to find a way to stuff the mailboxes of a local hospital that employees thousands of potential consumers. Expiration Dates: Unless you have a very specific reason for using expirations dates….please don’t! Does it really matter to you if a customer uses your coupon this week or 3 months from now? The whole point of putting out a coupon is to drive business. It shouldn’t matter to you when that business walks through the door. I myself, get so frustrated when I place a coupon in my drawer, fully intending to use it, only to find out that it has expired by the time I actually need the product! Example of Creative Couponing: The best example of couponing that I have seen is by Gymboree© and the use of their Gymbucks©. The way this system works is that for each purchase amounting to $50 of clothing during a specific period of time, you receive a coupon to redeem at a later determined period of time. These coupons are good for $25 off every $50 purchase. This program encourages purchases during the Gymbucks© reward period and again during the Gymbucks© redemption period. It rewards loyal customers and encourages multiple purchases. Whatever offer you decide to give your current or potential customers must be of enough value to encourage them to get out of the house and into your establishment. Track your coupons and find out which offers prompt the highest redemption and stick to that method. Look for ways to persuade consumers to engage in repeat purchases and find unique ways of distribution. Everyone is looking for a deal these days so see what you can do to drive traffic to your store. Word of Mouth Marketing – What are your customers saying? Word of mouth advertising can be the most effective, least expense advertising available to you and your company. Take a moment to answer the following questions for yourself. What do your customers say about your business? Do you know what they’re talking about and are they the things you would like for them to be talking about? Did you know that in today’s viral marketing environment that consumers have a VERY LARGE voice? With the click of a mouse or the 10 minutes it takes to shoot a home video, your business could be viewed by millions of potential customers. With all of that in mind we should be thoughtful of the message we would like for them to send! Take for example the following video about United Airlines. It has now had over 6 Million views on YouTube. At the time that I was first shown this video, when you would Google search United Airlines, this video was the #1 return. It made the list above United’s actual website. That is extremely powerful! If one disgruntled customer can tell 6 Million people their message, we need to start to reevaluate how we are treating our customers. After all, these are the people who help us stay in business. The previous example shows a customer who tried numerous times to discuss his complaint with the company. One thing that we tend to lose sight of is that customer complaints are coming from the vocal minority. The silent majority is the population we need to be concerned with. Let me say that another way, it is more likely that a disgruntled customer will leave your business without ever saying a word. The lesson you should take away is first, to take complaints very seriously. Second, if you can avoid mistakes all together your customers will leave spreading enthusiastic reviews. While these people are in your business, take the time to ask them about their experience, probe with questions on how you can improve your business and most importantly thank them for choosing you. Be sure to employ any means you can to make their experience one they will never forget. In the end you will be thankful to yourself for taking the extra time out of your day to create raving fans! Learning Express provides quality toys, books and games that focus on creativity and intellectual and physical development. The brand itself is focused on the customer’s experience. Here in Reno, NV our store is locally owned and operated by Suzanne and Wade Peterson. Suzanne explained to me how they got started, “I used to drive around with a roll of wrapping paper, scissors and tape in my car as we went between birthday parties.” Wade thought the Learning Express model was Marketing genius so they started the franchise which provided start-up information, inventory and proven systems. The Birthday Box – The Birthday Box is what prompted me to write about this incredible company. Here’s how it works: You take your child into the store and they are given a large plastic tub. The child may then feel free to walk around the store filling the vessel with all of the toys they could ever need or want. When the bucket is full, the friendly staff personalizes the tub and offers the parent business cards that say their child is registered at Learning Express. The registry cards are then placed inside the invitation to the party. When the parents of the children attending the party arrive at Learning Express, a helpful staff member retrieves the box and the child or parent chooses the toy they want to purchase. They receive 10% off since it was on a registry and the staff wraps and personalized the present for FREE!! In addition to the convenience of this whole process, the parent of the birthday child receives 20% off of one item in the store and they hold this list for an additional week after the party. 1. The parent of the birthday child receives no duplicate presents or gifts they must return. 3. Both feel special because they got a discount. 4. The gift is already wrapped and personalized. This always adds time and expense to purchasing a gift. 5. Now you have gained three fans of the business: The birthday parent, the parent of the child attending the party and the kids themselves. This is truly brilliant! Without spending a dime, this company recruits parents to gladly spread the word about their concept for them. I have talked before in my blog about word of mouth advertising, and there could not possibly be a better model than this one. Since my experience at Learning Express, I have been spreading the word long after my son’s party! This is process is quick, convenient and is a benefit to all parties involved… pardon the pun. Christmas Wish List – I just recently learned about this fun and exciting promotion when one of the lovely ladies from the store called to follow-up about my son’s birthday gifts. Similar to the birthday box, this list allows children to write down the list of goodies they would like to receive for Christmas. This list is kept in a binder and friends and family of the child may purchase from this list during their holiday shopping. The portion of this program that I love the most is that people may phone the store and make their purchase through one of the helpful representatives. This allows family members from out of town to find the perfect gift without having to leave the comfort of their home. VIP Program – This rewards program provides a card that is stamped with the dollar amount spent, every time a customer makes a purchase at Learning Express. After 15 purchases, the average dollar amount is calculated and the amount is given back to the customer in the form of a gift card. Not only is this an excellent reward program, but the employees make an event out of the redemption of the card by honking a horn and cheering each time a VIP card is redeemed! What a creative way to spur some excitement during the shopping experience! This has been one of my longer Small Business of the Week articles. I have to say that I could not condense any portion of this piece. It is so exciting to me to see a business that not only has an excellent Marketing Model but they also choose to give back to the community in so many ways. If you have a little one in your life, I suggest you visit Learning Express this holiday season. I always encourage you to support businesses that think outside of the box and find creative ways to benefit society! I commend Learning Express for training a knowledgeable, friendly staff who is excited about their jobs! Congratulations on discovering a concept that is unique and helpful to your consumers. Thank you for your generous efforts toward making children’s lives locally and across our country better! Sales calls are a dime a dozen. In my industry, I receive a minimum of 100 sales calls a month. There is the disgruntled sales person that feels he is owed an appointment when usually I just know he is tired of being told no. There is the uneducated sales person who can’t pronounce my name or the name of my business. Then there is the typical assumption, “Hi. I would like to set up a time to meet with you.” The unfortunate part is that they ALL sound the same! If you are making sales calls, please make an effort to distinguish yourself from the other 100 calls per month. Here are some tips on how to do that. THE CALL: Here is the standard call that I get 100 times a month (DO NOT do this! ): “Hi my name is so and so. I am from blah blah blah. I was wondering if we could meet today (today, really?) and discuss something something.” Instead try something unique. How about this: “Hi my name is ____. I called today to congratulate you because you are a winner!” “What have I won?” they will say. You tell them, “You have won an appointment with me! Yay! This is the part where you jump up and down and scream woo hoo!” While this may seem a bit strange and it may make you feel uncomfortable the first couple of times you try it, it is guaranteed to make your potential client laugh. People are much more apt to give you the time of day if they find you humorous or feel you have stepped outside of the box. CREATE A SAMPLE: In radio we called this a spec. spot. We would create an ad with the company we were trying to pitch in mind. The ad would have a brilliant idea that would work for their company and we would put it through production without even having an appointment. This concept can work for any business. When a potential client sees what you have to offer and it is already tailored to their business, they have a more difficult time saying no. I will leave you with the following disclaimer: DO NOT send them a generic product with some other company’s name on it. This will completely defeat the purpose. For example, I receive a ton of pens from promotional product companies and I do not care to use a pen that says Marriott Hotels. If they would send me sharp looking product with my company’s name on it, I would not only use the product but I would be more apt to buy it. SEND THE GIFT OF A SMILE: For the extremely “hard to get in touch with” potential client, here are a couple ideas they would never expect. 1. Send them a concert or sporting event ticket. Only send one. Include a note in the package that says you will bring the other ticket to your appointment so they have a set of tickets to the event. This will be sure to get you a moment of their time. 2. Send a shoe. Send only one shoe with a note attached that says, “Now that I have one shoe in the door, I was wondering when the other will follow.” Include your contact information and I guarantee 99% of the time they will call you. Whether or not you like the ideas presented here, the point of the exercise is to get creative! If you want to make a sale you must start with outside of the box thinking from the initial moment of contact with your potential client. Do not get stuck in the trap of sounding like every other sales person who calls the decision maker on a daily basis. Come up with your own ideas to position yourself as unique and you will be viewed that way through the entire relationship. 1. Employee Incentives: Start a contest amongst employees where the highest sale earners win some sort of prize. This will foster healthy competition between your staff. Instead of guessing what they would like, take a poll and find out what they find valuable. Another way to accomplish this task and reward everyone is to offer a percentage of gift card sales as a bounce back to your employees. For example, if you offer 10% cash to your employees and they sell $100 in gift cards, they receive $10 in cash at the end of their shift. With this method make sure that you employ and instant gratification technique so they see the results of their actions immediately. 2. Incentivize Customers: This can be a little trickier but the results may be the same, if not better. Offer something extra to customers who purchase gift cards. One way that you can accomplish this is by offering an additional card for a specific dollar amount spent. Using the same example as for the employees, if the customer purchases $100 in gift cards, offer them an extra $10 card as a bonus. You may also offer the card at a reduced price, such as a $100 gift card for $80. Remember the objective is to bring them back to your business after the holiday season is over. Another option that may add value to your transaction is to offer gift wrapping. You can promote this in a way that the recipient will never know what they are getting. Box the card along with a rock or something heavy and make it look beautiful to place under the tree. Convenience equates to less hassle for your customer so go the extra mile. 3. Reinvent Your Business: If you are reading this thinking there is no way that the business you are in can actually sell gift cards or certificates, don’t underestimate yourself. If you have customers, you have the potential of selling gift cards. Whether you are a graphic design firm, a pet groomer, or a radio account executive, people know people who need your services. Think outside the box of ways to engage your current customers in purchasing your services for future customers. If you don’t try, you will never know. Suggest that other businesses purchase gifts for their partners or their potential clients. There are multiple ways you can spin it but most importantly, don’t put your company out of the race toward gift card sales. This holiday season make a big splash with efforts toward selling future business. Once the holidays are over you can truly use those additional sales to keep your business alive and thriving during the beginning of 2010. If you have other ideas to increase gift card sales, please leave a comment. We can all use fresh ideas on how to boost our sales this time of year. There is a constant struggle between Marketing and Operations departments in the mindset of whether marketing is an investment or an expense. It is true that marketing endeavors can be costly but if they produce a positive return on investment then it is worth the outlay of capital. Let’s explore what does and does not constitute a proper marketing investment. 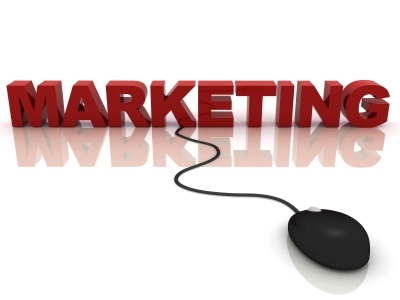 Marketing should be viewed as an expense when a significant amount of money is spent with little return. This can occur when promotions draw a large crowd but the crowd does not purchase any products. Campaigns geared to entertain but do not educate the potential client can be costly ventures with little to no return. Branding efforts that are reevaluated and then tossed by the wayside can cause significant loss of funds. On the other hand, marketing can be seen as an investment when it gathers new clients, upgrades current clients to a higher price point or starts a positive word of mouth campaign that gains momentum. The goal of marketing is to embed your product or service into the minds of consumers, so that when they choose to make a purchase they opt to spend their money with your company. Marketing dollars placed targeting the proper demographic, in an appropriate medium that has high visibility with a proper message, rarely produces negative results. The challenge is that positive marketing campaigns may or may not produce instant gratification. This is where the line gets fuzzy. Companies spend money to gain clients and if the results are not instantaneous, they believe that the marketing dollars spent were wasted. This is not always the case. Repetition of your name in front of the consumer will remind them to think of you. It may not be today, tomorrow or even this year that they will be in need of your product. The more times that the potential customer hears or sees your name the more likely they are to call you when they choose to react. It is important for entrepreneurs to view marketing as an investment or they will never grow as a business. To view marketing efforts as an expense is a narrow-minded, short term thought process in the race to a larger bottom line. If you can step back and remove yourself from the present, set long-term goals and understand that marketing is a process, you will see that the money you invest will sustain you in the future. So what are your thoughts, investment or expense? 1. Entertainment: Nothing grabs people’s attention more than being entertained. Think about street performers, don’t they always have a group of people surrounding them? Consider hiring a magician for your booth. As the magician draws a crowd around your booth, start talking to the people who have been standing around watching him for a while. As new people join the group, allow them to enjoy the show for a while and then politely introduce yourself. Just like magic you will have left a lasting impression on your new clients. 2. Refreshments: Next to being entertained what else do people really enjoy…food! At the expos I have attended no one draws a larger crowd than the restaurants. Just because you are not in the food service industry does not mean that you cannot provide something for people to snack on. If at all possible I suggest making something that creates an aroma, like cookies in a toaster over. Remember how important sights, sounds and smells are to the image of your company. 3. Mingle: Bring someone to man the table and someone to work the crowd. So often I see people sitting behind their booth waiting for people to walk by. Rarely am I approached in the crowd and asked to come visit a booth. This will show your enthusiasm for your product or service. Engage people in conversation, tell them what you have to offer and why your company is unique, then walk them back to your booth and let the attendant explain your product in more detail while you go find another prospective customer. Trade show and expo booths can be great exposure for your business! They are also expensive so you must be prepared to make the most of the event. Have a mechanism in place to collect business cards, raffle off items if possible, and create a booth that is colorful and eye-catching. Most importantly make sure you think outside of the box on how you will draw more attention to your booth than all of your competitors at your next event. There is a non-profit agency in Northern Nevada and Northern California that has caught my attention by providing a unique and educational experience to our youth. This company provides experience in leadership, science and outdoor programs, and they inspire concern for our environment and empower future leaders to build relationships and gain a sense of community. They are building the knowledge of our future leaders and for that, I believe they are more than worthy of earning the title of my small business of the week. 1. Education – Not every child learns in the same way. Through our current system of preparing kids and measuring their performance through standardized testing, we are not accurately gauging the potential of the future leaders of our nation. Sierra Nevada Journeys is taking a new approach that allows children to spark their creativity and learn through a hands-on environment. They are molding scientists with a concern for our environment that will lead to a greater awareness of our community and our planet. 2. Leadership – By engaging children in group activities and forming relationships with mentors concerned about their future, SNJ is building leadership skills in children who may lack a diversified group of role models. Nitin Kohli, Vice President of Finance and Administration and I discussed how some of the programs work. He told me that, once the children in the program reach a specific age, they can volunteer to assist at the camps and activities. In my opinion, this takes these kids one step beyond the initial program and empowers them, at an early age, to become mentors themselves and learn the value of helping others. How can we expect our youth to be concerned about our environment if they know so little about it? If we intend to protect our precious resources and sustain the earth for many generations to come, we must start now in educating our children about the outdoors and how we can prevent the harmful effects our consumption has on this planet. The programs through Sierra Nevada Journeys are available to all students in our area, regardless of economic hardship. They have never turned away a child based on funding. They diligently work with schools and families to ensure that all children can attend their programs. Due to the nature of their business model, this exceptional organization can use our community’s help. I urge you to visit their website at www.sierranevadajourneys.org to find out more about their goals in our community. Please also take a look at their page titled: Get Involved. There are plenty of volunteer opportunities and a wish list of items they could use from generous donations of individuals who would like to help their mission. Thank you for taking the time to learn more about this commendable cause!